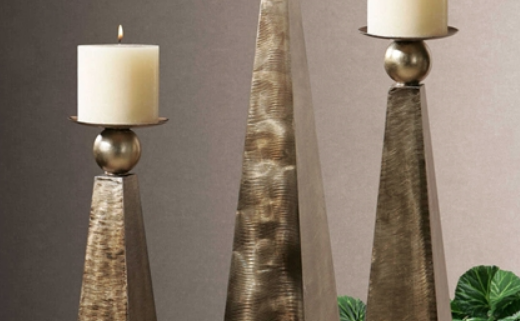 The Cesano Candle Holders feature a brushed, heavily antiqued, rustic bronze metal finish. 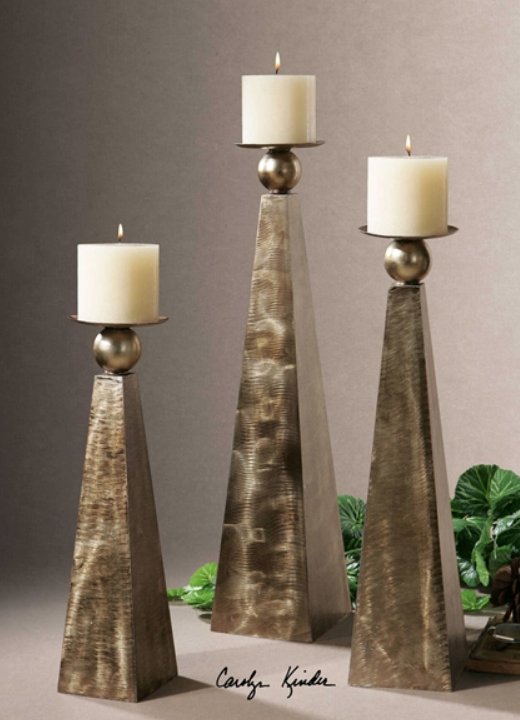 Designed by Carolyn Kinder International, this set of three includes distressed beige candles included. Available to trade professionals at Uttermost.com. For retail purchase Google search term “Carolyn Kinder Cesano Candle Holders”.